The Bureau of Labor Statistics reports a faster than average growth for nursing assistants, with a projected 20 percent increase in employment through 2020. 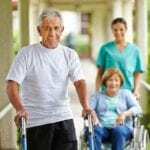 The aging population drives demands for nursing assistants in assisted living facilities, nursing homes, and long-term care facilities. As such, more than 85 percent of CNAs are employed in these settings. Since seniors need round-the-clock care, CNAs often work weekends, nights, and public holidays. The job is physically and mentally demanding as nursing assistants spend hours on their feet and may have to shift, lift, and support patients without assistance. Staffing shortages often lead to heavy workloads for active CNAs as they attempt to care for too many patients at once. The heavy workload and physical demands are some reasons CNAs leave, which results in a high turnover rate in the industry. In May 2014, CNAs in Connecticut earned an average of $31,940. The Certified Nursing Assistant program at the New Haven Adult Education Center includes classroom and clinical lab time as required by the Connecticut Board of Nursing. Graduates are eligible to take the Certified Nursing Assistant Certification exam. Applicants must present evidence of negative Mantoux text or proof of an x-ray for TB within the last year. A negative criminal background check and drug screen and a passing score on the admissions exam are also necessary for enrollment. The school offers various schedules for students’ convenience. The curriculum covers basic nursing principles, patients’ rights and independence, anatomy and physiology, medical terminology, safety and emergency procedures, communication and interpersonal skills, personal hygiene, infection control, feeding and nutrition, rehabilitative and restorative techniques, and roles and responsibilities of nursing assistants. The school will make arrangements for successful graduates to take the state exam for certification. 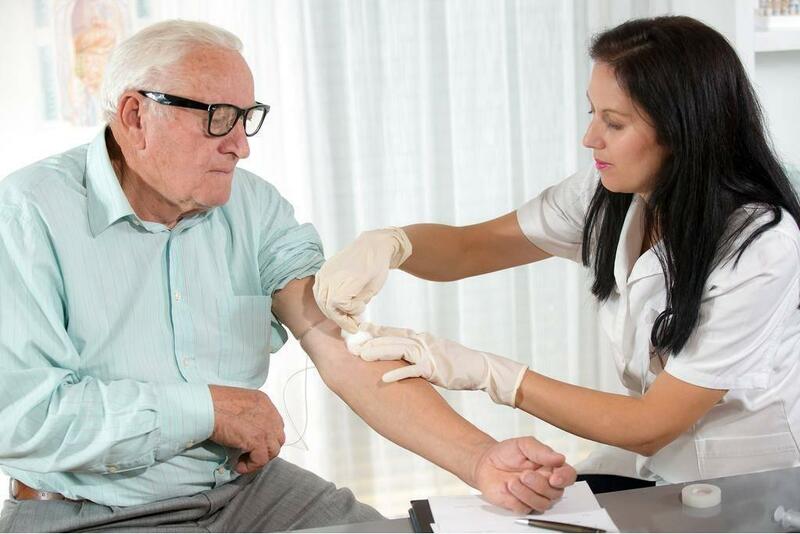 The nursing assistant curriculum at the Academy of Medical Training covers a broad range of topics, including patient care, positioning patients, patient rights and independence, proper body mechanics, infection control issues, catheter care, signs of depression, abuse and neglect, nutrition and feeding, and much more. Students spend 60 hours in the classroom, which covers theory and hands-on skills training. The clinical practicum is 40 hours’ long and takes place in a skilled nursing facility where students master the skills and concepts learned in the classroom. Successful graduates will receive a certificate that will grant them eligibility to take the state exam to become a Certified Nurse Aide. Applicants must be 16 years or older with a valid ID – those under 18 must obtain a parent signature to proceed with enrollment. A physical exam, negative PPD result (no more than 3 months), and competency in the English language are other requirements for enrollment. Tuition for the 2.5 weeks program is $1,200; includes registration fee and supplies. The CNA Preparatory School prepares students for the state certification exam to become Certified Nurse Assistants. Students will receive CPR certification as well as a certificate in nurse assisting at the conclusion of the course. Experienced instructors educate and train students to perform the duties with a keen awareness of their role as a direct care professional. The course follows the state-provided guidelines mandating 102 clock hours of classroom instruction and clinical experiences. Students complete the program requirements in just two weeks. Class hours are 7:30 am to 4:30 pm Monday through Friday. Applicants must be 16 years or older with a valid ID and social security number. A negative TB test and clear criminal record are also necessary for enrollment. Criminal convictions will affect students’ ability to complete the clinical aspect of the program, which will result in dismissal. Students must obtain a minimum 70 percent score in all areas to graduate from the program.